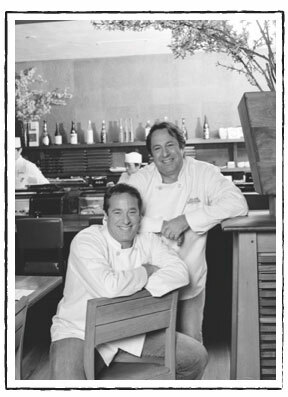 We are the Chefs and owners of New York’s Blue Ribbon Restaurants. For almost 5 years we have been working on bringing to market a healthy grilled chicken nugget product called Naked Nuggets. Recently, we introduced healthy chicken burger patties called Simple Sliders. These are products that we are extremely proud of and that we created out of necessity – the necessity to feed ourselves and our children healthily. What began as a good food idea has transformed into a crusade for us. It has been a battle to launch a transforming new idea on the most popular kid food product in the USA. We’ve met resistance from supermarket buyers to a non- fried non-breaded product every step of the way, but the parents of children have begun to speak out and the scales have begun to tip in our favor — we are now in a growing number of stores across the country. In May 2009 we launched in the Eastern United States our new Antibiotic-Free 12 oz. bag, available at a growing number of retailers. We are working with leading retailers and health conscious markets and communities of concerned shoppers around the country to get the word out and elicit real change in the way we feed our children. We need change at home, at school and even in restaurants. There need to be more options for parents to enable them to make better decisions for their kids. We’ve made that decision easy for you, and our proud to offer Naked Nuggets and Simple Sliders for your health and pleasure!